Everyone loves company culture. And everyone loves metrics. However, business leaders have had a hard time putting the two together in a meaningful way. Culture has long been regarded as a “soft” topic -- too intangible, subjective and elusive to measure and track. This has made it challenging to know how to align culture with business success. After 15 years as an entrepreneur and business leader, diving into academic and professional research, and interviewing hundreds of companies, I’ve chosen to dedicate my career to understanding what makes companies tick. In simple terms, company culture is the set of behaviors that determine how things get done in a company. Therefore, when searching for culture metrics, it makes sense to follow the lead of companies that have had consistent financial and operational success, or in business jargon, high-performance companies. In the most recent company that I founded, CultureIQ, a business providing company culture-management software, we have identified 10 qualities that are shared by high-performance companies. While each company has its own style of approaching the 10 elements, they are the ingredients of a strong culture. Using these qualities as metrics to track, business leaders can finally understand whether their company is on the path to culture success. In companies with strong communication, employees are able to communicate their thoughts and suggestions to leadership, while leadership effectively communicates necessary information to employees. Assess if your current channels of communication are effective at helping everyone in the company send, receive and understand information. As an entrepreneur, innovation is one of my favorite subjects. It is closely related to communication, because it comes down to whether employees have the ability to move ideas through the organization and how much your company is open to new ideas. When measuring innovation, remember that it comes in many forms, such as resources, processes, behaviors and the product itself. Agility is key to staying competitive in the market. While leadership might feel that they are adapting well to internal and external changes, other employees will be the ones to feel the effects of whatever falls through the cracks. Therefore, keep tabs on your company’s agility by regularly soliciting feedback from employees at all levels. Workplace wellness encompasses the mental and physical health of employees. Not only does wellness lead to happier and more productive employees but this metric also has an important ripple effect. According to a study in Health Affairs, medical costs and absentee costs fall about $3.27 and $2.73 respectively for every dollar spent on wellness programs. While it’s certainly exciting, you don’t need to have a trendy or themed office to have an effective work environment. What is most important is that the workplace provides for comfortable, productive employees. For instance, small details, such as the temperature of the office, could be resulting in big losses in productivity. Focus on employee comments related to the workplace, and you will find some of the easiest and fastest ways to improve their performance. Collaboration has many layers, and once again, employee feedback is the key to getting to the bottom of them. Your marketing team might work splendidly together but struggle working with other departments. To fully measure your company’s collaboration, look for collaboration within teams, as well as collaboration between teams. 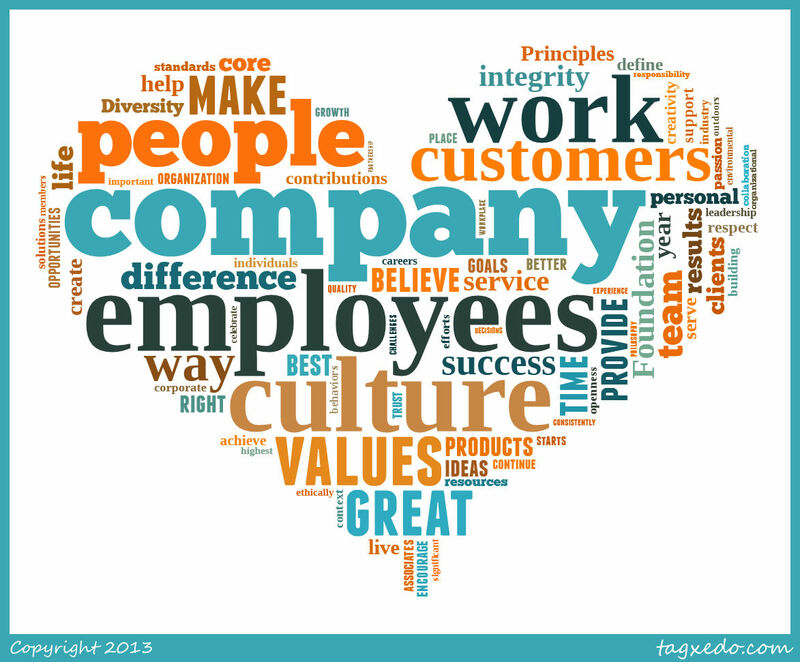 Employees should feel supported by the overall company, their manager and peers. According to a study in Harvard Business Review, middle managers are the most disgruntled group in the workforce, possibly because they are lacking the support they need to be successful. By digging into this metric on an individual and group level, you are able to expose important trends in engagement. Everyone should understand what determines success in their role, and they should be rewarded or recognized accordingly. Larger rewards do not necessarily make for a stronger culture. Instead, take time to understand if employees feel they are appreciated and how they would like to be recognized. Responsibility encompasses employee accountability for actions and results, as well as the ability to make decisions regarding their work. While it seems like an individual metric, these behaviors should be promoted and assessed on a company-wide level. And believe me, you’ll find that employees are eager to report back on their experience in this area. The first step is having a mission statement and company values, and that’s the easy part. You should also keep regular tabs on if employees know your mission and values, understand them, and live by them. This process starts during recruitment, so don’t let this metric fall to the wayside during periods of high growth. So there you have it; finally, culture and metrics can live happily ever after. The unique way in which you approach these qualities is what I like to call the “personality” of your company. These metrics won’t capture the specifics of your personality, but they will measure if it is working for your employees. They will help you understand if your culture is contributing to a happy, engaged, and effective workforce.